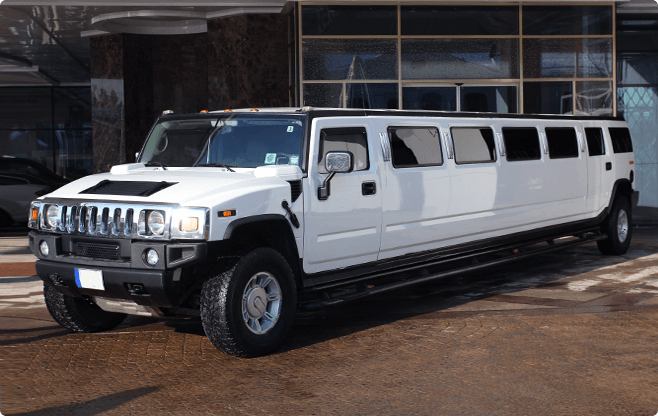 The pride of American, the Hummer H2 Super Stretch limo is also available in Riga. Feel the power, adrenaline and elegance of this monster machine while you arrive in style at the party! Seats up to 19 passengers, luxurious 11 meters long, white metallic colour, dimmer controlled mood lights, lighting and lasers, TVs, mirrored ceiling, floor and Bar lights, leather seats, dual air conditioning, bar.